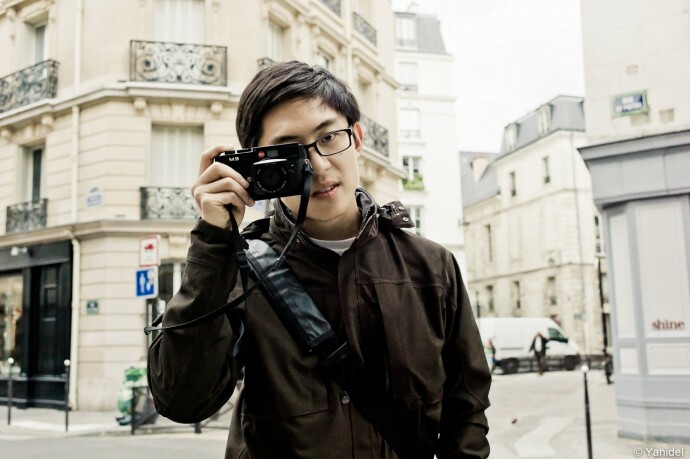 Eric Kim runs a successful website dedicated to street photography. We first got in touch about a year ago and talked a few times about how it would be great to meet and do some shooting together. This finally concretized last week, since we found ourselves by coincidence in Paris during the same week. It was very interesting to see Eric in action, especially his “in your face” street photography. Indeed Eric used a 35mm lens (Lux Asph v2) on a Leica M9 and would constantly get within one meter of his subjects. While many people were quite surprised (especially when he used flash on his Ricoh P&S), I did not witness any overly bad reactions. Which leads me to the point I made before; “the more obvious you are about your intentions, the more will people accept it. Eric in front of a classic Paris background. I) Eric, I noticed that your pictures are mainly close-ups of people in the streets. How do you capture the essence of a city like Paris by shooting so close ? II) What are the main differences between shooting in LA and Paris ? he main differences between shooting in LA and Paris is that in LA, it is impossible to get anywhere without driving (which makes it incredibly difficult to take street photographs). Whereas in Paris, it is far easier to walk around and take tons of photos (as everything is in walking distance). Not only that, but I noticed that people in LA don’t seem to mind getting their photos taken as much as people in Paris. 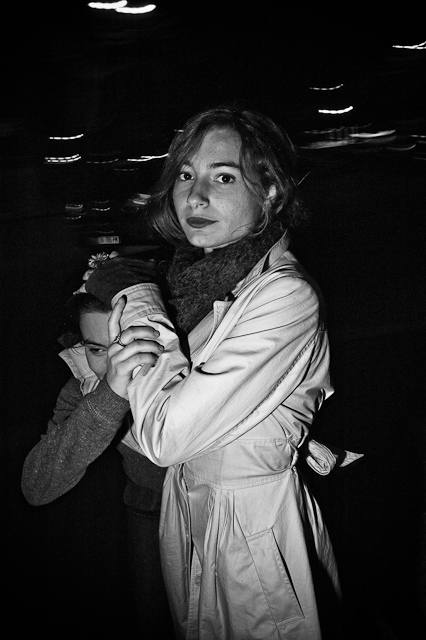 III) You have been testing the Leica M9 with 35mm Lux Asph lens while in Paris, what are you first impressions ? 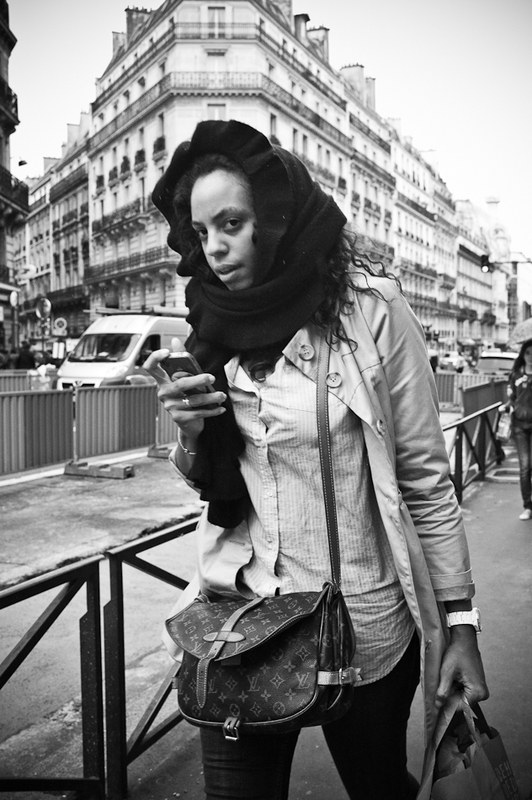 The Leica M9 is a beautiful camera and tool, and has truly helped me in capturing my visions of Paris. I have been experimenting with an array of cameras recently, but I love the bright viewfinder of the M9 as well as the ability to stay low-key (with the quiet shutter sound and the old-school looking body). The camera just listens to me. However on a side-note, shooting with a Leica will not give you better photos necessarily, but it will give you a far better experience (which can lead to better images). Also shooting with the 35mm f/1.4 Summilux wide open at f/1.4 gives some of the creamiest bokeh. Thank you Eric, it was a pleasure to shoot with you. You guys are both my heroes. Hope to meet with you some day!